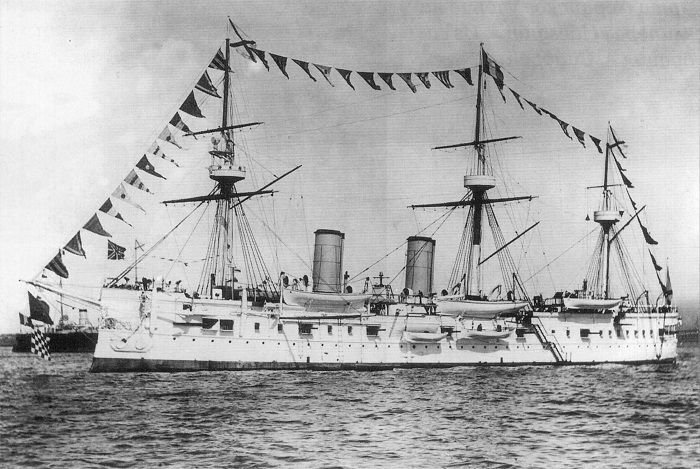 113 years ago, a Russian cruiser called the Dmitrii Donskoi sank. Just days ago, a Singapore-based treasure hunting company called the Shinil Group released underwater footage from a depth of 1,300 feet which they claim reveals the near-mythical ship. The find could be a windfall for the Shinil Group because some believe that as much as 200 tons of gold may be on board representing $132 billion. Is the find really so valuable? Experts suggest that Russians would have been more likely to transport such valuable cargo via train, rather than in uncertain waters during the Russo-Japanese war. Skeptics also point to the unethical practices of another company which previously claimed to have found the wreck. It was later determined that the company, Dong-Ah Construction, was simply trying to elevate their company's share price. Perhaps the most telling detail is the fact that the Shinil Group was only founded one month ago with less than $100,000 in capital. If the find is real, the Shinil Group will need far more capital to salvage the wreck. South Korea’s Ministry of Maritime Affairs and Fisheries mandates that a company like Shinil first put down a deposit representing 10 percent of the value of the find. This deposit would total just over $13 billion. Not surprisingly, the Shinil Group has not yet filed an application to pursue the salvage. How will Shinil get around this onerous deposit? They will likely argue that the value of the find is only the ship, not any possible gold which has yet to be located. This argument brings the value of the discovery down to $1 million. Reports indicate that the company will offer to deposit $105,540 to begin the salvage operation. A spokesman from the company has indicated that they plan to file the necessary paperwork in the coming days. Meanwhile, regulators have warned investors against taking aggressive market positions in hopes of fast profits. Speculative investments on unproven finds like this are risky because “no proof exists that the ship carried gold, with academics raising doubts that a warship would carry such valuable cargo,” according to experts. These warnings haven’t dissuaded all investors. Though Shinil is not a listed company, many have snapped up shares of Jeil, a Steel company owned, in part, by Shinil’s president. Jeil saw its share price rise by an astounding 30 percent shortly after the announced discovery of the ship. Not long after Jeil’s stock price dropped by 20 percent. Is the find real? Wait and see.